Trade Winds welcomes all Sea, Mountain... Nature lovers, and invite you to discover its inspiration across its collections. - Site de trade-winds ! Trade Winds welcomes all Sea, Mountain... Nature lovers, and invite you to discover its inspiration across its collections. Trade Winds Company presents her 2 brands : Alizés Créations & NaturaCréation. 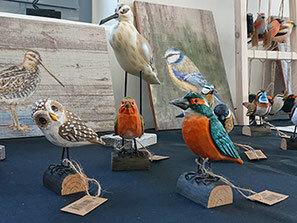 Find our gifts and decoration products collections for the see, travel and nature lovers, in gift shop, decoration shop, zoos, museums and castles. A gifts and decoration products collection on the marine theme : umbrellas, textile, rope items, fishing nets, floats, flags, boat models, pens, jewels. 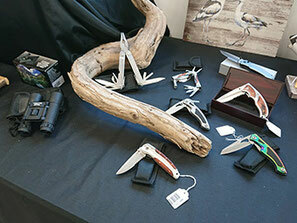 Our beautiful and authentic products on nature theme are made for zoos, ornithological parks & tourist shop's visitors. They make happiness of curious kids, collectors and natural items lovers. The offshore wind is blowing on that collection which cleverly unite classic style and modern requirements ! Decorative objects of quality, which invite to travel and will give an adventure touch to the most refined interiors. 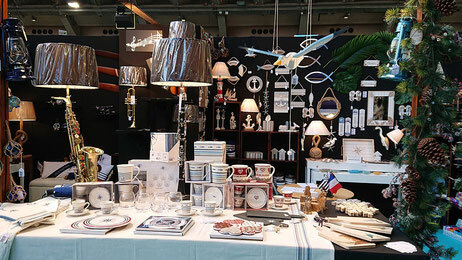 Trade Winds is a french company, specialized in decoration products. As time goes by, our range of products has been enriched with many original and authentic items. Our collections are proposed by the best distributors in France and all over the world. We exclusively sell to professionals. Our team is based in the south east of Paris and travel across France and abroad. If you wish to know more about us or for any information, don't hesitate to contact us . Meet us on Professional fairs !